• First to commericialize posture-based behavior analysis on a platform with limited hardware performance. • Integration of facial recognization with gesture analysis allows multiple potential applications in numerous domains. 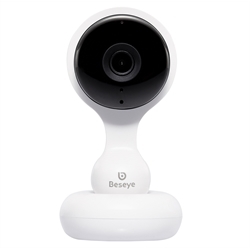 • Ability to deliver advanced functionalities such as abnormal event detection, fall detection, consumer behavior analysis on a consumer-grade security camera. Beseye AI Video Analysis Solution provide applications as below. • Safety Detection：Burglar Alert, Access Control, Virtual Fence. • Business Intelligence：Customer Demographics, People Counting, Sales Hot Spot, Customer Traffic Management. • Posture Analysis：Fallen Detection, Gesture Recognition, Destructive Behavior.